Wonderopolis is a new website from the National Center on Family Literacy (NCFL), conceived as "a place where parents nurture a brighter world for their children through discovery, creativity, learning and imagination." The big hook of Wonderopolis is a featured "Wonder of the Day" that gives parents and kids something new to think about and explore every single day. So far, there are two Wonders listed: Why are flamingos pink? and How do streets get their names? 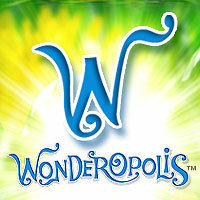 Follow Wonderopolis on Twitter and on Facebook. Wonderopolis is supported by a grant from Verizon Foundation. It’s the latest website in the Verizon Thinkfinity suite – a robust educational project composed of 11 of the nation’s leading educational organizations.